We off a full range of recruitment services. For our clients, we offer non-prescriptive arrangements and will work with you to fill any recruitment or process gap. For employees, we will treat your application with respect and honesty. Our network is extensive and has been established over many years, working in hands on management roles. 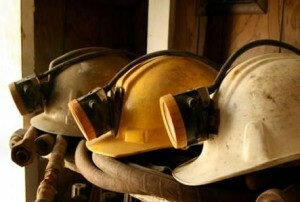 This makes us different as we are a group of people who have worked in the mining industry and have become recruiters. For both clients and candidates we have been in your shoes - making decisions about employees and being recruited ourselves. Both situations have challenges and we strive to make the process better than the industry standard. With the downturn in the mining industry, many key resourcing positions responsible for recruitment were minimised or made redundant. However, the mining workforce numbers have fluctuated with small internal projects and staff turnover. This has led to the need for both temporary and permanent recruitment services. More importantly, there is a need for us: a human focused recruitment company that understands mining.